Last Friday I finally caved and bought a huge winter parka and boots. When I left the store, the sun had come out and spring was in the air. The last few days in Stockholm have seen temperatures above freezing, melting snow and even rain(!) the other day so I am really hoping this means that winter is over! While we are hopefully enjoying a sunny weekend in one of the most beautiful cities on Earth, here are some links to keep you busy! Oh! And be sure to stop by here a little later today for something really fun! You will love it, I promise! The timing is not always my strong point (we sent out the last batch of wedding thank-yous an appalling 18 months after we got married), but I am all for handwritten notes to say “thank you”, “feel better”, or just “I’m thinking of you”. 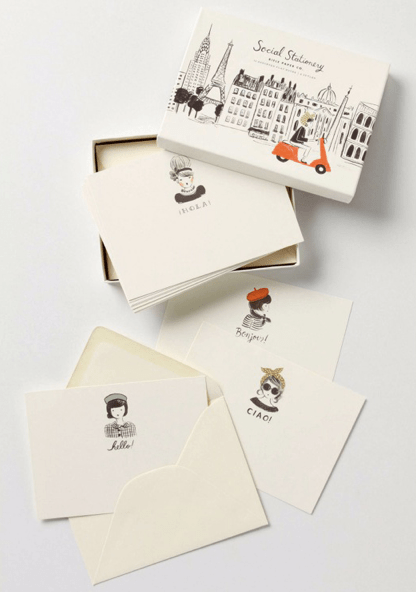 These cards are charming! Via Taryn Cox The Wife. I love the idea of little kids keeping a diary/journal (just make note of the translations somewhere!). This journal belongs to a four-year old! This mini crib looks like a handy little thing to have around for a newborn (or just a small nursery space!). Love the variety of colors. Via Buy Modern Baby. I know Little A is still way too young for play dough (unless someone knows of a recipe for completely edible play dough?? ), but these colors are so inviting, I can’t wait to try! Isn’t this a fabulous idea for a dad (or mum) who likes his back scratched? I loved this post on using role-playing to prepare children for unfamiliar situations. It just makes so much sense to me. 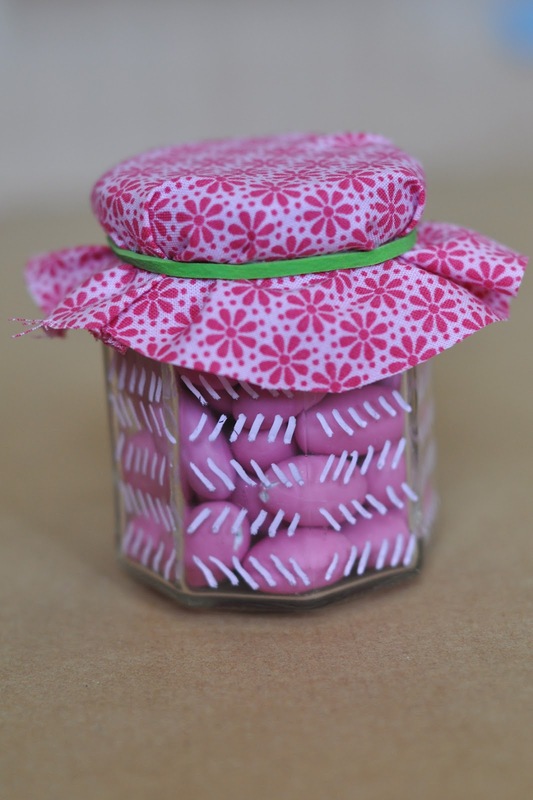 Another cute project using some of those baby food jars (or other jars of course) that you might have lying around. 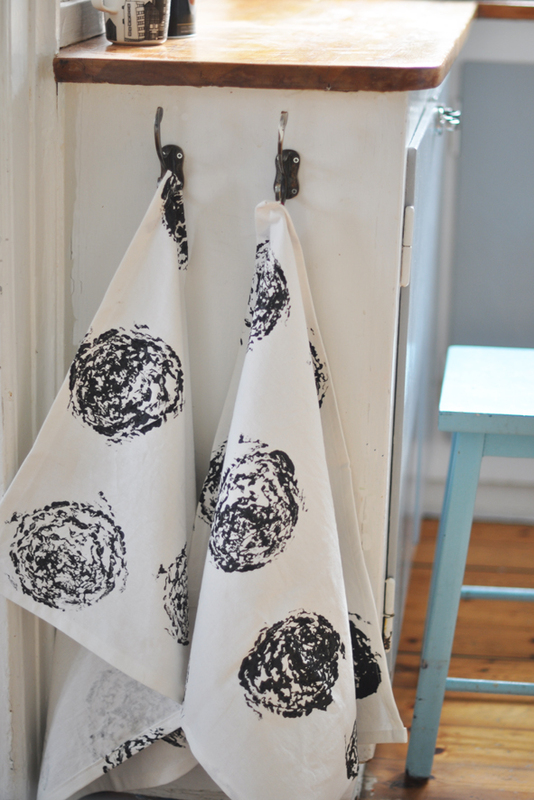 Also from Lilla A, DIY cabbage rose prints! Isn’t this a fabulous bunk room? OMG – if I had a secret list like that it would be sooo long! Thanks for stopping by!